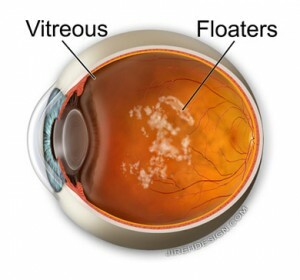 Floaters are any opacity causing black spots or haziness in your vision. Because the floaters are located in the vitreous, they almost always move to and fro with eye movement. On occasion, floaters are so large they are noticed in all fields of gaze, that is, you see them no matter where you look.